Even for casual fans, the evidence about the destructive forces of the game have become too clear to ignore. Last summer, just a few days after the birth of my third child, I received a call from my brother informing me that my mother had been rushed to the emergency room, having fallen into some kind of delirium. I hopped on a flight to California and arrived at her bedside only to find that my mom had more or less disappeared. She was there in body, but her mind — the brilliant mind of a Yale-educated doctor and author — was gone. She knew something was wrong with her but believed she was in the midst of a terrible dream. In a sense, she was. To the shock of her attending doctors, my mother made a miraculous recovery. Her dementia turned out to be an acute episode, apparently triggered by medication. But seeing my mom so reduced had a curious effect on me: I found myself feeling more and more complicit about my love of football, a game that destroys men’s brains as a matter of course. I realize that August is, for us fanatics, a month devoted to rabid anticipation of the upcoming season. But at the risk of bumming out my fellow fans, I feel duty-bound to explain my decision to quit watching the game, which I can’t help but still love. Over the past few years, a growing body of medical research has confirmed that football can cause traumatic injury to the brain, not as a rare and unintended consequence, but as a routine byproduct of how the game is played. 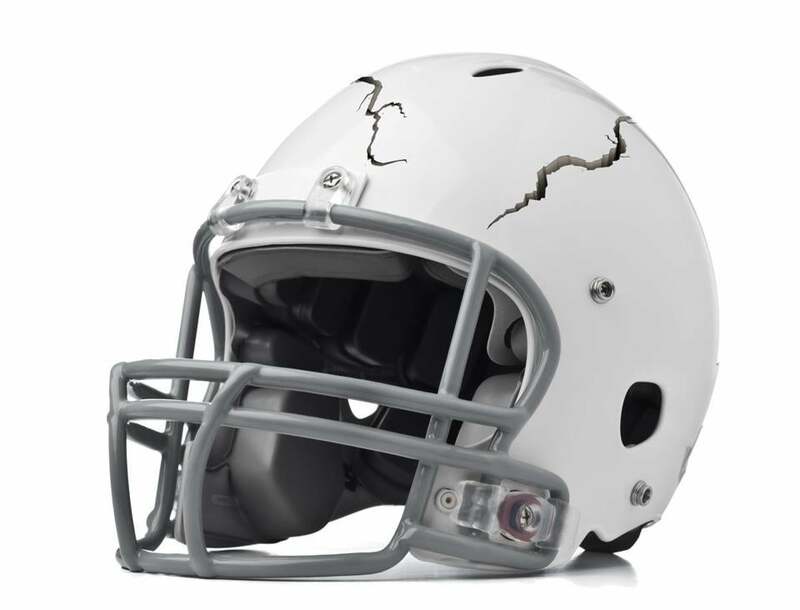 The central concern among doctors is no longer just catastrophic injuries — concussions that result from big collisions — but the incremental (and therefore largely invisible) damage done by numerous sub-concussive hits. A study commissioned by the NFL determined that recently retired pros (ages 30 to 49) are 19 times more likely to suffer from dementia, Alzheimer’s, or other memory-related disease than — what’s the right word here? — noncombatants. Given that aging stars don’t want to be seen as disabled, they tend to downplay or even hide their infirmities. The numbers are likely higher. Players may die younger, too. “Whereas white males live to 78 years and African-American males live to approximately 70 years, it appears that professional football players in both the United States and Canada have life expectancies in the mid to late 50s,” according to Dr. Lee Nadler, dean for clinical and translational research at Harvard Medical School. Someresearchers have claimed life expectancy for players is around 55. A new crop of retired stars is just beginning to report symptoms. Brett Favre, among the most heralded quarterbacks of the past two decades, shocked fans when he confessed to memory lapses last year. “I don’t remember my daughter playing soccer one summer,” Favre said. As of March, neuropathologists at the NFL’s preferred brain bank in Bedford had examined the brains of 55 deceased pro football players. All but two showed signs of chronic traumatic encephalopathy, or CTE, the same condition found in Junior Seau’s brain after he shot himself in the chest in 2012. The disease has also been identified in the brains of college players and even one high schooler. It’s useful to recall here the manner in which the public outcry over violence reshaped football a century ago. Back then, President Theodore Roosevelt felt duty-bound to help speed reforms. The game was killing and maiming college and high school players, including Teddy Roosevelt Jr., who was injured playing for Harvard. It was a moral problem. But the moment football became a business, violence was no longer just a moral problem. It was a money problem. This, of course, is the big dance of capitalism: how to keep morality from gumming up the gears of profit, how to persuade people to make bad decisions without seeing them as bad. We have whole industries devoted to this voodoo, the dark arts of advertising, marketing, public relations, lobbying. Oftentimes, you will hear some academic type marvel at the American capacity for self-delusion. Here’s our secret: We’re soaking in it. I mention all this not just to get my socialist jollies, but to emphasize the larger system within which modern football operates. From the perspective of its governing body, the NFL, the game is a multi-billion-dollar product. And those of us who love it are not innocent fans rooting for our teams to prevail. We’re consumers. Our money and attention are what subsidize the game. Once, it was hard-core fans who kept the league afloat, the ones who braved stadiums so cold that players sat bundled in hay to keep warm on the sidelines. In 1948, nearly nine-10ths of the revenue earned by the NFL’s best team, the Philadelphia Eagles, came from ticket sales. The share from radio and TV rights was 3 percent. This season, the NFL will receive about $6 billion in TV rights alone, more than half its total revenue. This money is generated by the tens of millions of casual fans engaged in what we might call “passive consumption” (that is, watching a game on your couch while inhaling Cheetos). Over the past year, I’ve studied the history of football and thought a lot about what the game means. I’ve come to believe that football fosters within us a tolerance for violence, greed, misogyny, and militarism. I believe it does economic damage to our communities and to the national soul. These are some of the reasons why I’ve stopped watching. But the central reason remains the most basic: because consuming as a form of entertainment a game that causes human beings to suffer brain damage is wrong. It would be convenient to ignore this fact or rationalize it away. It would also be immoral. This essay is adapted from Arlington-based Steve Almond’s forthcoming book, Against Football: One Fan’s Reluctant Manifesto (againstfootball.org), to be released on August 26. Send comments to magazine@globe.com. - 2/28: Should you let your child play football? Correction: An earlier version incorrectly referred to a NFL study and misattributed the source of claims about life expectancy.